A man was left for dead after being repeatedly stabbed and beaten during a horrific aggravated burglary at his home in west Dublin. The 49-year-old victim was attacked after a gang kicked in his front door in the early hours of the morning. He was stabbed five times, including twice in the neck, and also suffered a smashed eye socket after being struck in the face with a blunt object. Gardai suspect that up to four young men were involved in the incident, which happened on the morning of November 1 on the Deansrath estate, Clondalkin. The thugs are believed to have spent up to an hour inside the property, during which time they beat their innocent victim and ransacked the house. There are now fears that the man could lose his eye owing to the severity of the injuries he suffered. It is believed that the thugs set upon the man as he slept, hitting him over the head with a weapon. The man suffered two knife wounds to his neck as well as puncture wounds to his shoulder and stomach. The thugs continued to assault the man as they searched his home. "At this stage it seems that the perpetrators spent the best part of an hour in the house, where they assaulted and robbed the man," a source said. "However, as the victim is struggling to remember much of the attack due to the injuries he sustained, it is proving difficult to establish what exactly happened in the house." The gang eventually made off with a laptop and a quantity of cash, as well as the keys to the victim's van, which was later found burnt out. Emergency services were called and gardai rushed to the property. Members of the Dublin Fire Brigade treated the man at the scene before he was taken to Tallaght Hospital, where he was treated overnight. He has since returned to hospital after his injuries deteriorated, and is expected to receive further treatment to his eye this week. "His eye socket is completely smashed and there is severe swelling," the source said. "There is a genuine fear that he could lose his eye." 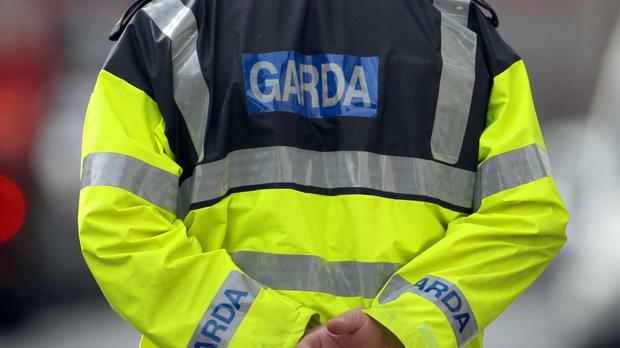 Gardai have confirmed that officers at Clondalkin Garda Station are investigating an incident of aggravated burglary and the unauthorised taking of a vehicle. As part of the investigation, gardai have carried out door-to-door inquiries. It is understood that officers have identified some of the gang involved, who are all males and range in age from their late teens to mid 20s. A number of searches have also been carried out as part of the investigation. A team from the Garda Technical Bureau carried out a forensic examination of the scene in the aftermath of the attack. No arrests have yet been made, but one local source praised the work being put in by investigators. "The gardai have been in touch with the victim and his family every day, keeping them updated," the source said. "They are putting a lot of work into the case and hopefully those responsible will be brought to justice."